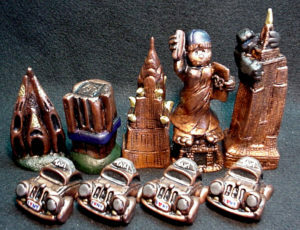 All hand made works of art. 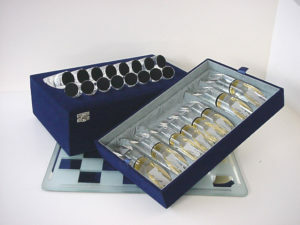 Crystal sets are made from Optical Crystal, Etched, and gently placed in velvet lined boxes. 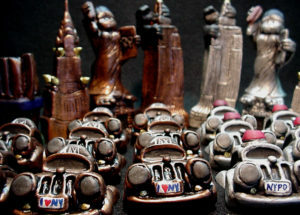 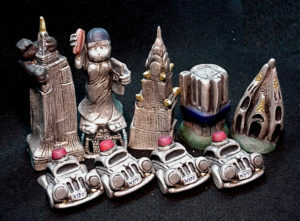 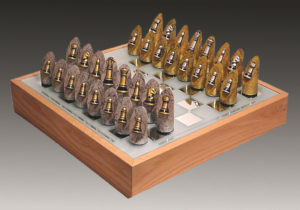 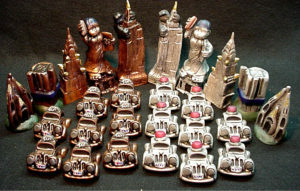 The New York Chess with a Twist are cast from Poly Resin and hand painted. 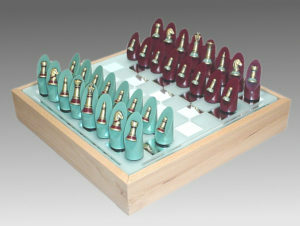 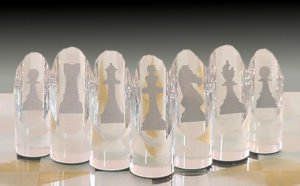 Chess Royale are hand cast in Poly resin hand painted with 3-D pieces on top. 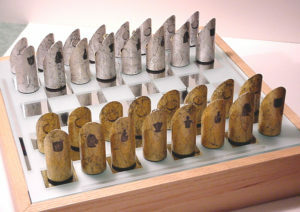 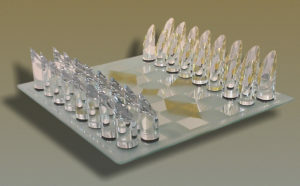 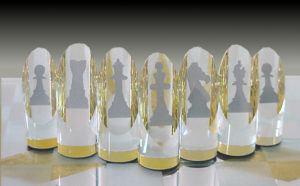 Glass Chess Boards are hand etched.